A Bill enacting Britain’s decision to leave the European Union (E.U.) has become law after months of debate, the Speaker of Parliament, John Bercow announced on 26 June, 2018 from Conservative Party lawmakers. The E.U. (Withdrawal) Bill which repeals the 1972 European Communities Act through which Britain became a member, had received royal assent from Queen Elizabeth II. It also enshrines Brexit day in British law as March 29, 2019 at 11 p.m. midnight Brussels time, defined by the end of the two-year Article 50 withdrawal process. The Bill has undergone more than 250 hours of acrimonious debate in the Houses of Parliament since it was introduced in July 2017. Union Minister for Women and Child Development Maneka Sanjay Gandhi on June 25, 2018 launched the report titled ‘Women in Prisons’. The report throws light on the condition of women in prisons and their entitlements; issues faced by them and possible methods for resolution of the same. The report contains a comprehensive list of 134 recommendations for improving the lives of women under incarceration, addresses a wide range of issues pertaining to pregnancy and childbirth in prison, their mental health, legal aid and reintegration in society. As per most recent data of 2015, there are 419623 persons in jail in India, of which, 17834 (about 4.3 percent) are women. Of these, 11916 (66.8 percent) are under-trial prisoners. A majority of female inmates are in the age group of 30-50 years (50.5 percent), followed by 18-30 years (31.3 percent). Of the total 1401 prisons in India, only 18 are exclusive for women, housing 2985 female prisoners. The Ministry of Housing and Urban Affairs (MoHUA) conducted its 35th Central Sanctioning and Monitoring Committee (CSMC) meeting on June 25, 2018 where a total of 3,18,900 houses from 6 States/UTs were approved on the completion of 3rd year of implementation of Pradhan Mantri Awas Yojana (PMAY) – Urban. With this, the PMAY (U) has approved more than 51 Lakhs dwelling units against the estimated demand of 1 crore. This is a huge jump in comparison to old housing scheme where 12.4 Lakh houses were approved in around 9 years of its implementation. The total project cost approved under PMAY (U) stands at Rs. 2.81 lakh crore with a Central Assistance of Rs. 77,934 crore. As on June 25, 2018, more than 2 lakh beneficiaries have been given subsidy under the CLSS vertical of the mission which is substantially higher than 18,166 beneficiaries who benefited from earlier comparable Interest Subsidy Schemes (ISHUP/RRY) – 2008 to 2013. 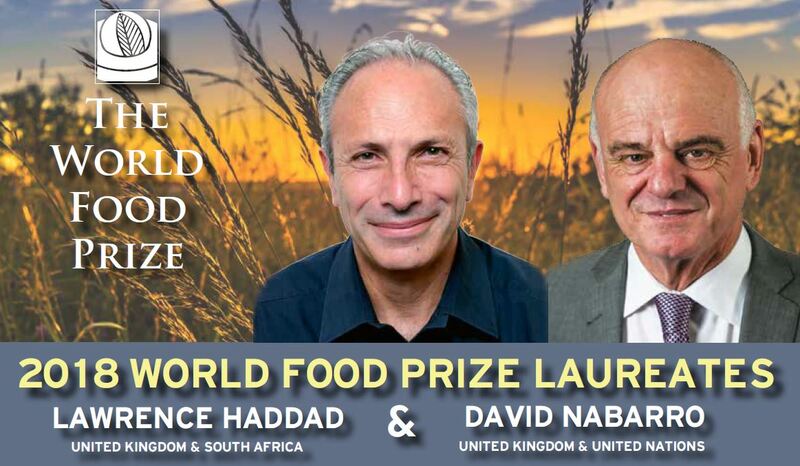 The World Food Prize 2018 was awarded to Lawrence Haddad and Dr. David Nabarro for their individual but complementary global leadership in elevating maternal and child under nutrition within food security. It is most prominent global award for individuals whose breakthrough achievements alleviate hunger and promote global food security. This year’s $250,000 prize will be divided equally between two recipients. Lawrence Haddad is British economist and food policy researcher and Dr. David Nabarro has worked with the World Health Organization (WHO) and United Nations (UN) on health and hunger issues. Both have dedicated their careers to reducing hunger and malnutrition. The prize recognizes achievements of individuals who have advanced human development by improving the quality, quantity, or availability of food in the world. It was conceived in 1986 by Nobel laureate Norman Borlaug, father of Green Revolution. Prof. M. S. Swaminathan was the first Indian to receive this award in 1987. Nikki Haley is traveling to India for the first time as the U.S. Ambassador to the United Nations. During her two-day visit from June 26-28, she will meet senior Indian officials, NGO and business leaders, students and the inter-faith community. The visit comes just days after she announced that the U.S. was withdrawing from the United Nations Human Rights Council. Under the Trump presidency, the U.S. has pulled away from the Iran nuclear deal and the Paris Climate agreement. Ms. Haley, daughter of Sikh immigrants from Punjab, is the first Indian-American to serve in a Cabinet-level position in any U.S. presidential administration. The Union Ministry of Women and Child Development on June 25, 2018 announced to organise a day-long Seminar on Technology Partnerships “TECH-THON” for steering POSHAN Abhiyaan on June 28, 2018 at Pravasi Bharatiya Kendra in New Delhi. The POSHAN Abhiyaan or the National Nutrition Mission which is aimed at improving the nutrition outcomes through effective monitoring and timely intervention is PM Narendra Modi’s initiative for holistic nourishment. The Vice Chairman of the NITI Aayog Dr. Rajiv Kumar will inaugurate the Seminar and launch the Jan Andolan Guidelines of POSHAN Abhiyaan. It will showcase and familiarise the people towards the initiative, exchange ideas to explore avenues of cooperation and partnerships for technology support, as well as, reach-out to the beneficiaries for effective behavioural change to initiate a “Peoples Movement” or “Jan Andolan” towards Nutrition. The Reserve Bank of India (RBI) has proposed setting up of Board of Management (BoM) in all Urban Co-operative Banks (UCBs) having deposits of over Rs 100 crore within one year to strengthen governance and promote professional management in these banks. BoM will be in addition to the Board of Directors (BoD). The BoD will continue to be apex policy setting body and constitute various committees of board including BoM to assist it to carry out its functions. BoM will look after all administrative functions of UCBs as spelt out in respective Co-operatives Act. It will be responsible for credit, risk and liquidity management of UCBs. a. MoU regarding Indian Grant Assistance for implementation of small development projects through local bodies, educational and vocational institutions. b. Twinning Agreement on Establishment of Friendship and Cooperation between Panaji (Municipal Corporation), Goa (India) and Victoria City of Seychelle. c. MoU in the area of Cyber Security: It was signed between Indian Computer Emergency Response Team (CERT-in) and Seychelles Department of Information Communications Technology. e. Technical Agreement on Sharing White Shipping Information between Indian Navy and National Information Sharing and Coordination Centre of Seychelles. f. MoU between Foreign Service Institute (FSI) of Ministry of External Affairs of India and Department of Foreign Affairs of Seychelles. 1. What is the share of women among the prisoners in India according to 2015 report? 2. How many prisons are there in India exclusively for women? 3. What does the report "women in prisons" contain? 4. Who was the first Indian to receive World Food Prize? 5. Who has been awarded the World Food Prize 2018? 6. What must be the deposits in a year for an urban cooperative bank to get BoM set up?